Next Friday, wry indie stalwart Cass McCombs will release his ninth album, Tip of the Sphere, next Friday (February 8). The California singer-songwriter has previously released three tracks from the album: “Estrella,” “Sleeping Volcanoes,” and most recently the auspiciously titled “The Great Pixley Train Robbery.” Today, NPR’s First Listen has an advance stream of the entirety of Tip of the Sphere. McCombs has also shared a video for “Absentee,” a druggy barrelhouse piano ballad which is, of course, about the Irish Potato Famine. The video features shadow puppets and other uncanny visual trickery courtesy of Facing West Shadow Theatre. It’s another mellow and unassumingly catchy single from an album that seems to be stacked with them. 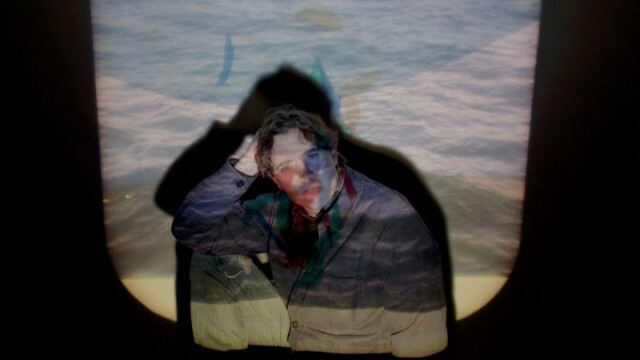 Cass McCombs’ previous album, Mangy Love, was released in 2016. Watch the “Absentee” clip below, and listen to the entirety of Tip of the Sphere over at NPR. You can also be a good person and preorder the album here. Update (2/8): Cass McCombs’ new album Tip of the Sphere is now available on streaming platforms. Check it out below.